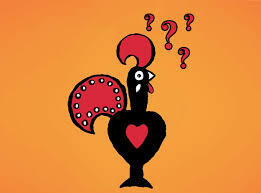 Confession time I love a Nando’s. I do. Yes. That quarter chicken hot (breast) has given me some good times in my life usually with a Peri Peri chip dipped in a perinnaise – GUILTY, or even a rice and a coleslaw . I even had a Nando’s on the day Baby T was born. Wrong but Right. I am sure the 2 Fanta’s really helped things along. Side note, I didn’t consume fizzy drinks throughout the pregnancy unless they were 150% elderflower so on the bloody day of induction I decided 2 Fantas were okay, ok? How did it all I happen I can hear you cry? Well here it goes, I recently went for lunch after a busy and long day and I decided to order Baby T her first ever Nando’s dish (poor bugger). I order from the Nandinos/Childrens menu a Sweet Potato Mash. I am doing the healthy thing right?! ordering from the children’s menu and going for a healthy option? What can be in sweet potato mash apart from sweet potato? I am definitely going for the healthy option aren’t I? Of course I am. Well done me. NOOOOOT. My suspicions become clear when I saw that Baby T was shovelling said sweet potato mash into her mouth as though she was never going to be fed again. I tried it. It was SWEEET. Like Haribo sweet. Like the first time you had a creme egg and wanted to wretch it was so bloody sweet. I ask the waitress to see the menu, nutritional breakdown and to my shock and horror the second ingredient was skimmed condensed milk. WTF?! Possibly the most sugary of all items on the planet. I speak to the manager and ask what she thinks and whether she knew that this was the case?! She said she didn’t and would raise a complaint, she and her staff had amazing customer service skills and dealt with my concerns sincerely and earnestly. I take a photo of the nutritional breakdown and tweet Nando’s – they replied if I need to check the breakdown I should do that before the meal. Nice one social media team. Really ‘nice’. Are you a robot? Right, so how my question is this – how many parents would do that? How many parents are thinking they are giving their child the healthy option and then being essentially duped by secret sugary ingredients. Have a conscience Nando’s! This is a product for children!! Why would a sweet potato mash – which essentially in its raw form is sweet need any additional sugar especially that of the most intense and processed variety? I suggested again that they reconsider their ingredients again via Twitter – they replied that they would take my comment on board. But is that good enough? In the height of all the amazing work Jamie Oliver has done and Sugar Tax being taken seriously by parliament surely the big chain restaurants need to get on board too and sort out their mission with hidden sugar in addition to having concerns about the obesity crisis? Yes I am on a soap box. No, I don’t care. I wont quit. This is bad. It is our future and our children’s health – we need to consider. Read the nutritional breakdowns if you want to know exactly what your baby is eating.